If you're a fan of blankets on the bed any time of year, you know that summertime can be a challenge for staying cool. Never fear, we know of 5 lightweight blankets that will be great for any time of year. Cool on hot humid nights, this heirloom-quality blanket is the perfect addition to your bed in this summer. 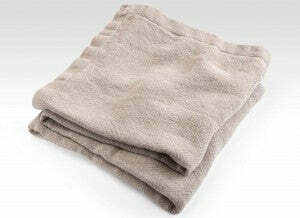 Machine washable, you'll never have to worry about dry cleaning this linen textile. 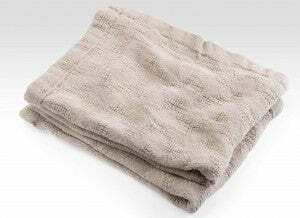 You'll find that, in addition to its classic look, the linen flat weave blanket only improves over time in its texture. Click here to learn more about the Linen Flat Weave Blanket. Our cotton/linen tweed blanket mixes two styles: the classic with the contemporary. Also machine washable, the linen/cotton blend will keep you cool all summer long with the natural breathability of linen. Also machine washable, you have the perfect marriage between the cotton you love and the linen to keep you cool. 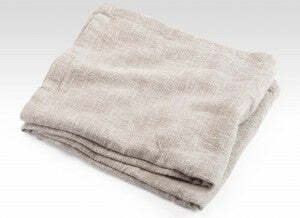 Click here to learn more about the Cotton/Linen Tweed Blanket. Not only naturally antimicrobial, the lino leno chevron blanket is yet another cool summertime favorite. Lightweight and cooling, this luxurious linen blanket comes complete with a sophisticated and understated take on chevron. This modern and natural textile will go nicely in any room decor. Click here to learn more about the Lino Leno Chevron Blanket. The cotton flat weave blanket will keep you cool just as the others will, with one added benefit: it will be a little easier on your wallet. This pure cotton blanket is machine washable and will gain more character and softness over time, just as all our blankets will. Cotton Blankets really do all that linen blankets do. In terms of breath-ability they come in a very close second. Click here to learn more about the Sahara Cotton Blankets.